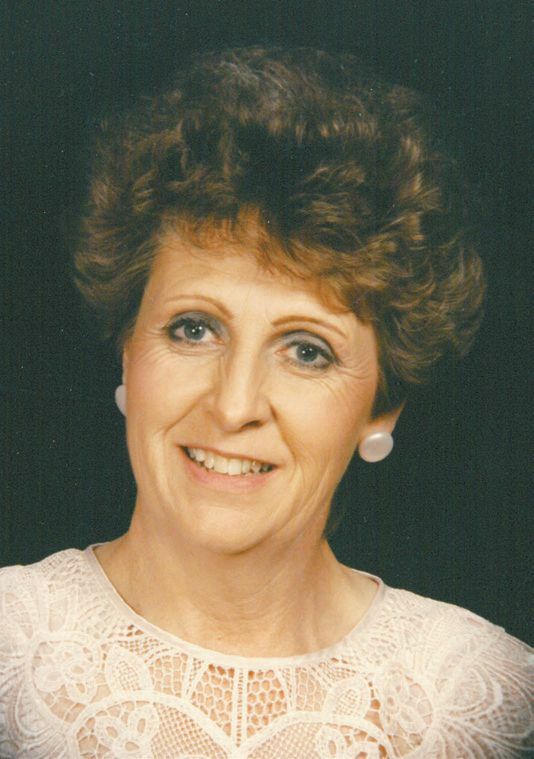 Darlene Faye (Hughes) Richardson, 78 year old resident of Leedey, OK, passed away Sunday, February 5, 2017 in her home. She was born August 18, 1938, in Higgins, TX, to Ira S. and Theresa (Houser) Hughes. With two older brothers, James (Jim) and Fred, she completed the family. Darlene attended several schools during her childhood. Jim was twelve years older than Darlene, but she remembered her and Fred riding a horse to a two-room schoolhouse. While attending school in Rye, CO, Darlene suffered from polio. Through sheer strength and determination of herself and her mother, she was able to walk to accept her Y-Teen crown and her high school diploma. After graduation, she married Dale Richardson on July 20, 1956. They were married 23 years before divorcing. To this union three children were born, Vicky Lynn, Cindy Faye, and Alan S. Darlene never remarried, but did have a long-time companion, Bud Hughes. Darlene was an amazing landscape artist and gardener, enjoying many hours working in her yard. She spent many an evening sitting by the outdoor fire pit, watching the birds, or admiring God’s creation. She was also talented at cross-stitch, embroidery, crocheting and most any type of handwork. She blessed her children, grandchildren and many friends with her lovely handiwork. “Grandma Dot” or “G-Dot”, as she was lovingly known, was an energetic and fun-loving grandma. She loved her children dearly, but when her grandchildren were born, her love was multiplied and when the great-grandchildren started coming, the love she had grew exponentially! She also loved the neighbor children as they would come to visit, help in any way, or just to play. If she had a fire going in the fire pit, it didn’t take much to persuade them to roast a marshmallow for a s’more. There is a Richardson Family Group text and she was always relaying stories about her “other kids”, a recent one being a trip to Elk City for Braum’s ice cream that included a few neighborhood boys. Darlene loved spending time with Bud, helping check his cattle, looking at the farm ground, and generally enjoying the countryside. She was a devoted Leedey Bison fan, watching many of their activities. Darlene enjoyed working at the Leedey Senior Citizens Center, delivering meals to the “old” people. She was talented and loved oil painting and cross-stitching. She attended the Leedey and Hammon First United Methodist churches, enjoying the fun and fellowship at both. She quoted this often: “People do not stop doing things because they get older, they get older because they stop doing things.” Darlene was an active mom, grandma, great-grandma and friend, she truly “lived” until her death. Darlene was preceded in death by her parents Ira S. and Theresa, brothers Jim and Fred, and special friend, Bud Hughes. She is survived by daughters Vicky (Dan) Hadley of Sedan, KS and Cindy (Mike) Grant of Sayre, OK; son Alan Richardson and Teresa Everett of Frisco, TX; grandchildren and great-grandchildren Bobbie, Kevin & Blake Robison of Fairview, OK, Joni Hadley & Trey Beeson of Sedan, KS, Kelly, Brandon, Wade, & Wyatt Manke of Watonga, OK, Kent, Sam, Lilly & Karlee of Leedey, OK, Michael, Robin, Trey & Bowan Grant of Oklahoma City, OK, Dusty, Lisa, Grayson and Mollie Grant of Weatherford, OK, Heather Richardson and Brooke Richardson both of College Station, TX, Scott, Jessica, Caden, Hudson and Preslee Everett of Frisco, TX, Marc and Nikki Everett of Frisco, TX, Jared Everett and Ryan Everett both of Frisco, TX; other relatives and many friends.